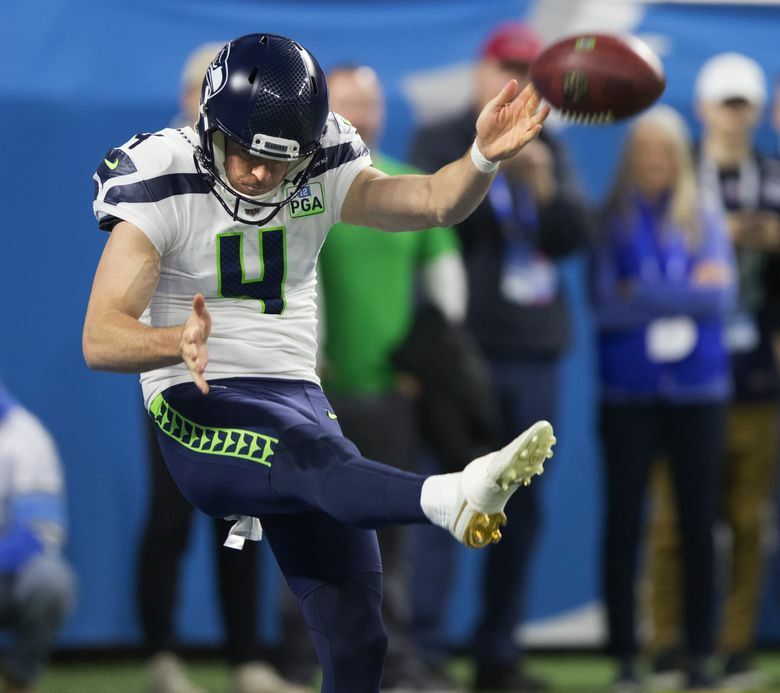 Punter Michael Dickson was supposed to play it safe and take a safety, but, recalling a conversation he'd had with Pete Carroll in London, he decided otherwise, much to the amusement of coaches and teammates. DETROIT — It was a play so deliciously entertaining and surprising that it earned two new nicknames — one for the player who pulled it off, and one for the play itself. “You mean Aussie Sweep?’’ coach Pete Carroll said of punter Michael Dickson’s decision not to bother stepping out of the end zone to take a safety in the final minutes of Sunday’s 28-14 win over Detroit. Instead, Dickson faked the punt and ran nine yards for a first down to the Seattle 12. That clinched the win. The play was so audacious — Dickson admitted he wasn’t even sure that he had to get at least eight yards on the play, which snapped from the Seattle 3 — that it also earned Dickson his own new nickname from teammates. But then, who could argue that’s what it took for a rookie fifth-round pick from Australia to decide to run for? Dickson laughed and admitted he “didn’t even really know how many yards’’ he had to get for the first down, but said he realized he’d pulled it off when he passed the first down marker at the 11-yard line. And what reaction did he get once he got to the sideline? Once he got the necessary yards, anyway. Carroll said that some “superlatives’’ went through his mind initially, undoubtedly meaning expletives. Carroll planted a tiny seed in Dickson’s head during a conversation at the airport in London last week. Carroll fessed up to that. One coach not really in favor of it, Dickson said, was special teams coach Brian Schneider. Failure, Dickson knew, was not an option. POLL: Best Michael Dickson-inspired nickname?